A selective list of recent Mesolithic projects, excavations and discoveries. Includes websites where available—not as many as you might hope for—and media coverage, often with “headline-catching” claims. Look out for “Atlantis“, “re-writing history” and battles over who is “the oldest”. Nevertheless, discoveries continue across developer-led, community and still some academic research projects and often prompt us to rethink some of our existing assumptions. 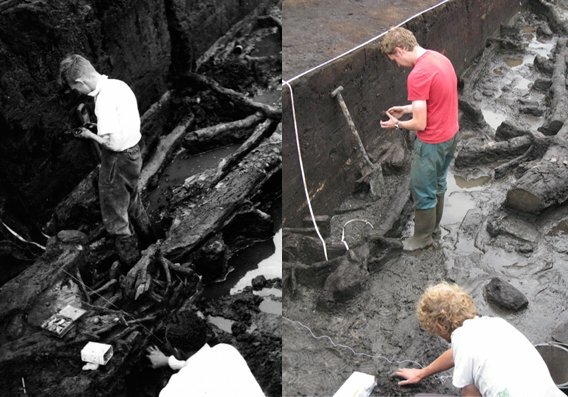 Links to national and regional British archaeological frameworks are also provided. These give extensive overviews of the archaeological background, historiography, assets and research agendas as well as useful bibliographies. Their benefit is to span most government and political boundaries. They contain both chronological surveys (and “transitions” between traditional epochs such as Mesolithic→Neolithic) as well as heritage, environmental and cross-period human activity themes. ♦ If you have a suggestion to add, do send a message. This list is compiled from Internet searches, heritage e-news (largely on Twitter #mesolithic, Facebook and syndicated news-feeds such as Scoop-it, Past Horizons and Heritage Daily, online media and local knowledge. Academic articles and monographs seldom include accessible Internet URLs or websites suitable for a general interest readership. 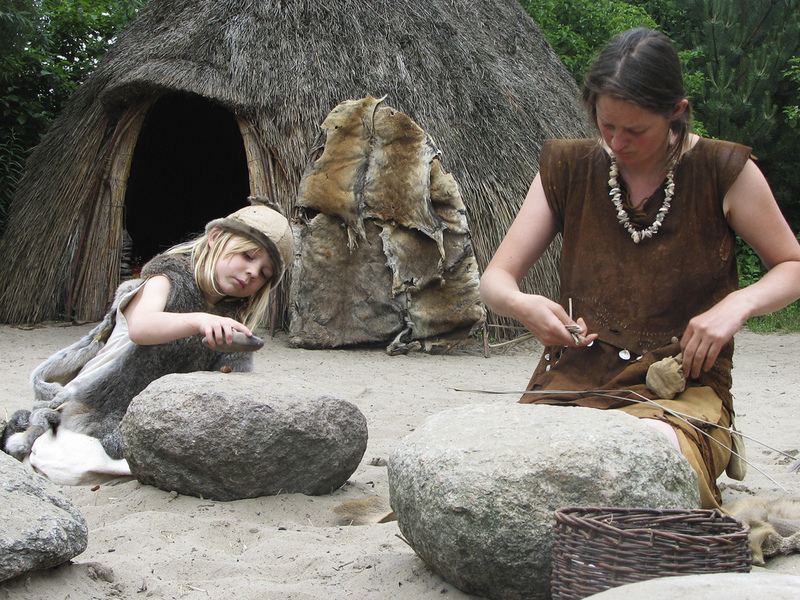 I also recommend subscribing to Mesolithic Miscellany website | Facebook. Subscribers to institutions such as the Prehistoric Society (PAST magazine), Antiquity and CBA’s British Archaeology, will have access to regular news updates too. Star Carr, North Yorkshire | Image comparison between 1950 and 2010 showing shrinkage of the peat. Source: StoneAgeBogs website. ‘with the intention of bringing together specialists who work on bog sites across Europe to discuss cutting-edge scientific methodologies and to evaluate the threats to this valuable cultural resource with a view to future action and collaboration‘. The website includes useful illustrated summaries for the most important sites across northern Europe and western Russia. Regional Archaeological Research and Resource Frameworks England | Multi-period, ALGAO portal to UK regional publications which give good and extensive overviews of known assets, historical context and priorities. Each includes a useful bibliography. A 48pp booklet has been produced by the University of York (with English Heritage and CBA): Milner, N. and Blinkhorn, E. 2014 (Free download from ADS). Project 2002-5 | aimed to examine the role of marine resources and especially shellfish in the diet and economy of prehistoric hunters and gatherers living in Northwest Europe between about 8000 and 5000 years ago and the influence of these patterns on the spread and adoption of agriculture after about 5000 years ago. Morecambe Bay, Kents Bank Cavern, Lancashire | Epi-Palaeolithic fragment of human leg bone radiocarbon dated to just over 10,000 years old. This is the earliest known human bone from northern Britain, following the retreat of the polar conditions of the last Ice Age. East Islay Mesolithic Project | Storakaig and Rubha Port an t-Seilich Archaeological evaluation of new Mesolithic sites on Islay, western Scotland by Steven Mithen and Karen Wicks. Ronaldsway Airport, Cass ny Hawin II | 2009 excavations by Oxford Archaeology North revealed a 7m diameter Mesolithic pit house with hazel floor, cached hazelnuts and narrow-blade tradition lithics but with a very early ‘Late’ Mesolithic date of c. 8200-7950 cal BC. The evidence is comparable to other very early ‘Late’ structures at Low Hauxley and Howick (Northumberland), East Barns and Echline (southern Scotland) and hints of something similar on the south Durham coast at Crimdon Dene (early 20th-century excavations). Peter Woodman excavated a similar structure near the present example in the 1980s. Archaeologist Robert M Chapple has spent the last few years cataloging radiocarbon and dendrochronological dates for Ireland. The latest release has geo-referencing and visualisation for 8288 radiocarbon and 313 dendro dates, including the Mesolithic period. In his blog Robert talks to the development rationale, process, software, data sources and user options. The data visualisation is hosted on Tableau public servers and can be viewed directly there, or through the embedded version at the end of his blog post.